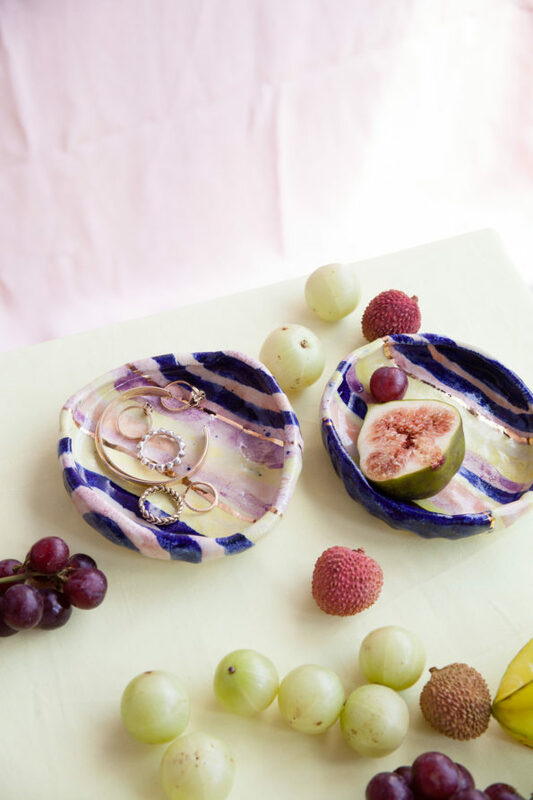 This limited edition ceramics collection is a collaboration between SABINNA and Kana London. 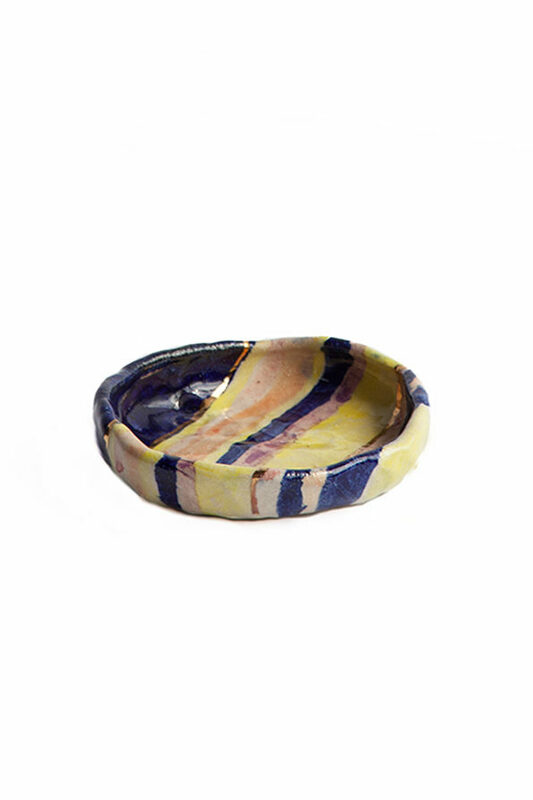 All items are hand built ceramics that were designed and hand painted in East London. 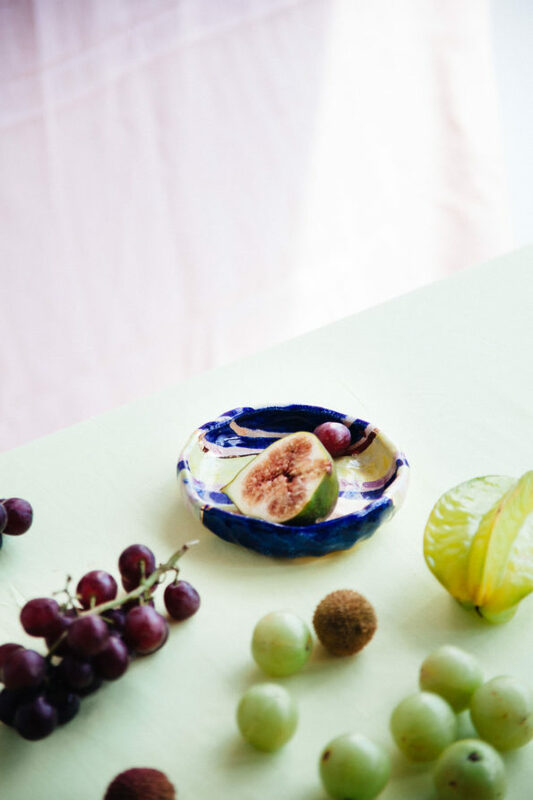 This striped treasure plate can be used in many different ways. It is a perfect gift for your loved ones or a treat for yourself. 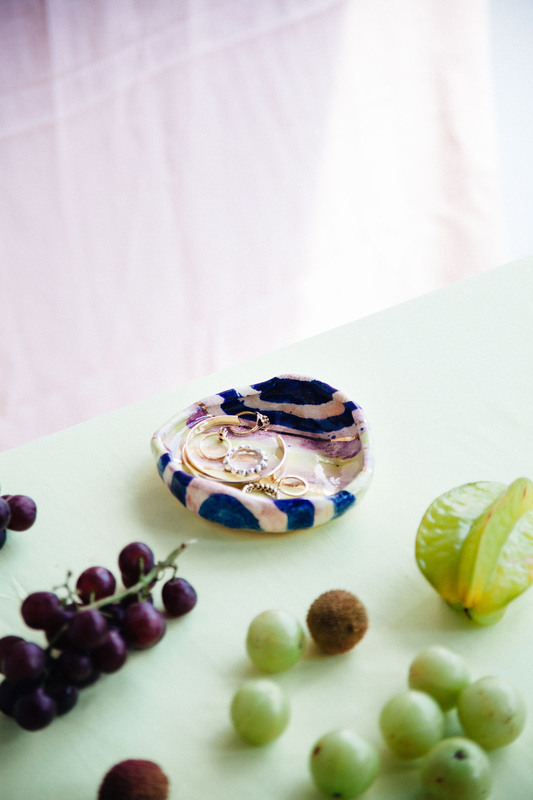 Every single treasure plate is unique, they are fully hand shaped and feature a 22 carat gold hand drawn stripes. Small imperfections / differences in shape, size and colour can happen and are part of the charm of a handmade product.